Gold Coast United welcomes goalkeeper Duro Dragicevic to the club. A member of the 2015 Joeys that played in the FIFA – U17 World Cup in Chile, Dragicevic joins United after several seasons in the Sydney FC Youth setup. The talented ”gloveman’ notched up ten Y-League appearances for the ‘Skyblues’ across seasons 2017/18 and 2018/19 as well as making 22 appearances in the NSW Men’s NPL competition in 2018. A Runaway Bay Hawks junior, Duro’s youth career blossomed while based in Canberra at the FFA Centre of Excellence where he first played in the National Youth League (NYL). United Coach Kristian Rees is delighted that Dragicevic has joined United. Duro’s decision to join United was swayed by the fact that Vas Alves is the goalkeeping mentor at United. “I was fortunate enough to work with Fernando previously at the AIS,” the 19 year old shot-stopper confirmed. “He’s had a lot of experience in the A-League and national teams and he’s definitely played a role in shaping the keeper I am today. 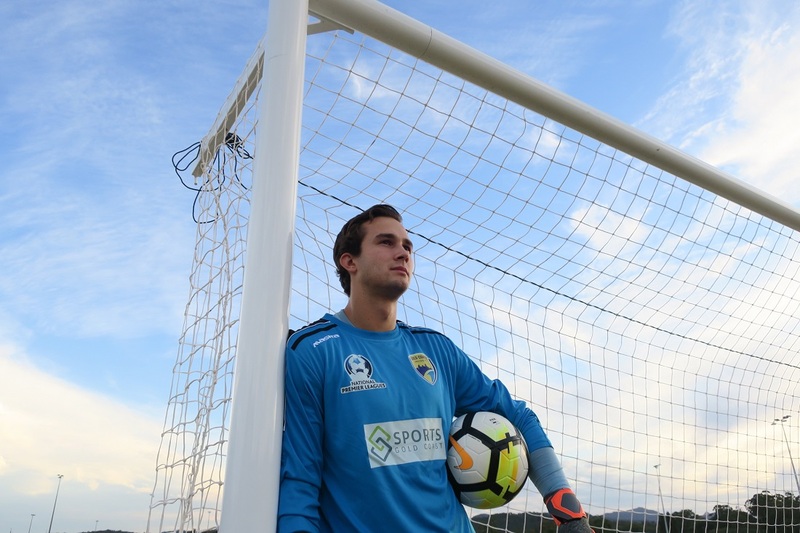 The experience gained by the young keeper during his time playing below the border should stand him in good stead for the rigors of an extended 2019 NPL Queensland season and Duro is ready to play his part.